Hastings Water Works is the largest swimming pool service, maintenance, and management company in Ohio, serving clients across all sectors: commercial, residential and municipal throughout all of northeast Ohio, including the greater Cleveland and Akron areas. We specialize in seasonal pool openings, closings, repairs, and weekly cleanings, as well as all equipment installation, repair and maintenance for spas and water features, including indoor and outdoor fountains and reflecting pools. 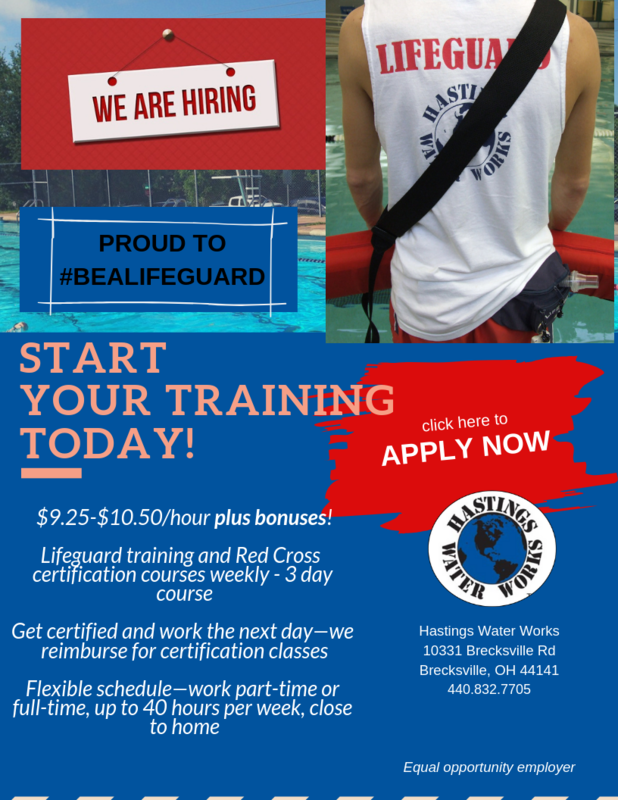 Hastings Water Works can provide expert consulting and analysis of your facility’s lifeguard requirements, programming, and facility maintenance needs. We can also provide professional lifeguards, managers, and certified service technicians for a comprehensive facility management package. 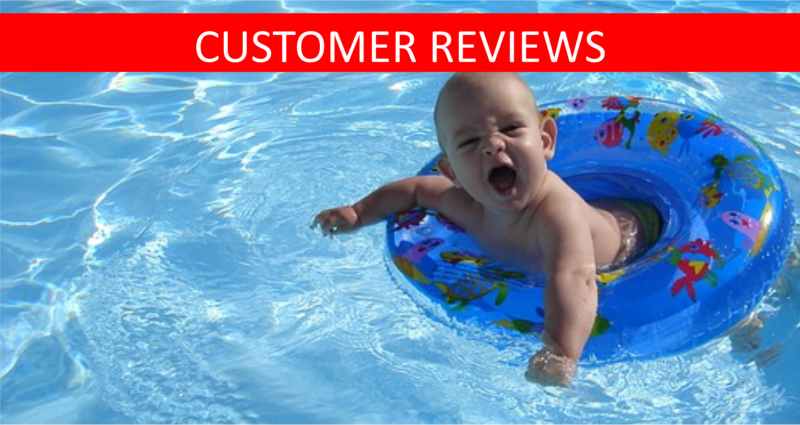 Cleaning, maintenance, service and repair of residential swimming pools, hot tubs and water features serving all of N.E. Ohio including the greater Cleveland and Akron areas. Commercial swimming pools and Aquatic Facilities, including; hot tubs, water features and fountain repair, cleaning, VGB compliance service and Lifeguard staffing. Lifeguard jobs, staffing, training, certification and facility management services for commercial and municipal pools, including swim lessons, aerobics, support services and VGB compliance. Contact us today to schedule your repair or maintenance service. 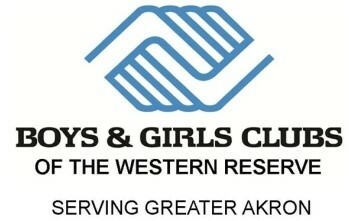 The best time to open your pool in Northeast Ohio is soon. Now is the time to call and get on the schedule to beat the crowds – and the algae. These 4 pool mistakes will make your pool tech sad, but more than that, it will make you sad as a pool owner. Our pool techs are here year round to help. Not all heroes wear capes. Some remain vigilant, take action, and save lives while performing lifeguard duties beyond expectations. If you want to be able to open your swimming pool at the first sign of good weather, you need winter repairs and maintenance services now. Call us. In this special holiday greeting from Hastings Water Works, learn the story of the night the reindeer took a swim and the Hastings team met Santa. Your swimming pool is a major investment that requires maintenance every month, and off-season swimming pool services can protect your pool from damage. Are you suffering from seasonal closing syndrome? 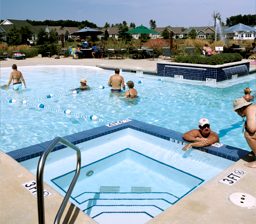 Many pool owners struggle with being ready to close the pool and get it ready for winter. The kids are back in school but summer isn’t over yet. Try these fun snacks for your end of summer pool party, then call us to close your pool. While it might seem logical, it would take an awful lot of ice to cool down your pool in the summer. 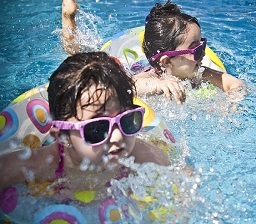 Try these five methods to cool your pool instead. Thanks so much for sending Brandon this morning. He found a clogged pump. Everything is up and running ! 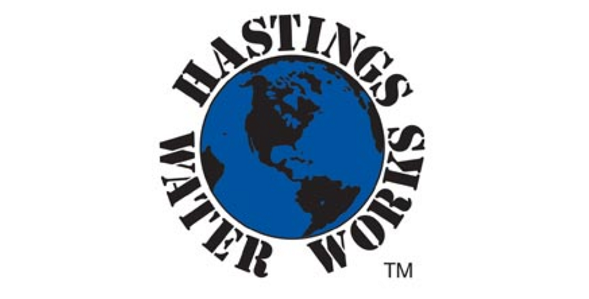 I have been completely satisfied with Hastings Water Works services to date. I am particularly impressed with your service technicians’ quality of work and knowledge. Tony and Ryan have both been wonderful! Helped me through a few things on the Jandy app and showed me how the pool system works. I’m finally feeling comfortable that our pool is in good hands. Your workers were quite courteous and prompt when I needed the new pump and service on the pump electric line. I thank you for your diligence in taking care of our pool. I am glad that we found your company. nice to know that you’re all so professional and respectful. We have been very pleased with every aspect of our Hastings experiences so far, from talking with Rick at the very beginning to the completed job. I just want to tell you and your crew what a great job you ALL have done. Your ideas have given new life and a fantastic look to our pool. Hastings Water Works is a great company and I thank you guys for stepping up to the task and solving our problem. I just wanted to drop you a line to let you know how impressed I am with your firm, your team, and your service. The guys opened the pool and it looks great. Dan and John were out yesterday for our pool opening, and I just want to let you know how impressed I was with their professionalism and attention to detail. Suffice it to say your company has been totally awesome to deal with. You fit winter work into the summer for me, you were extremely prompt and courteous in all our interactions, and your pool guys actually left my backyard cleaner than when they started. Service was great! I am just so pleased, I can’t even compare you with the company I have used in the past. Thank you so very much for taking care of our pool problem, your company is just so fabulous.